Perhaps it's because I'm socially anxious and awkward, but if you met me in person I doubt you would think I was sentimental in any way. I'm much better at swearing, making jokes and laughing too loud than I am at romance. Love? Pffft. Forget about that! I'm not very good with "I love you's" But no matter how much I protest, and how hard those words are... I am a sentimental fool underneath, with a heart of softened butter. 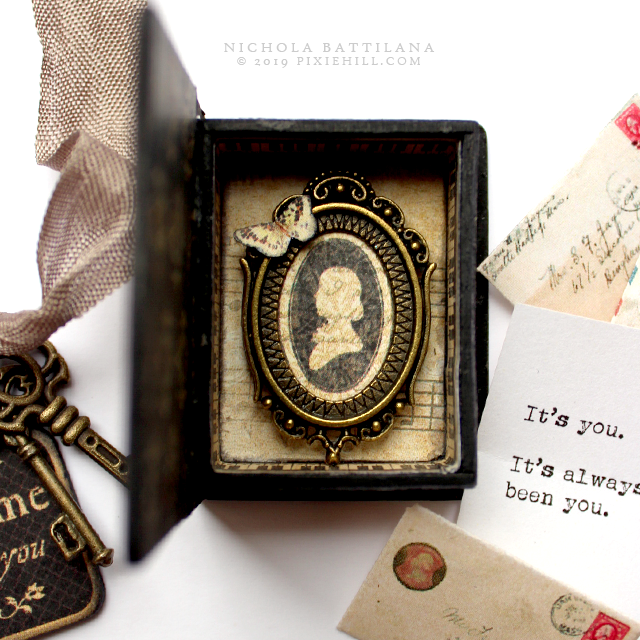 So I've made a charming little love thing-a-ma-bob with Love Notes Paper and a Tiny Faux Book Box. 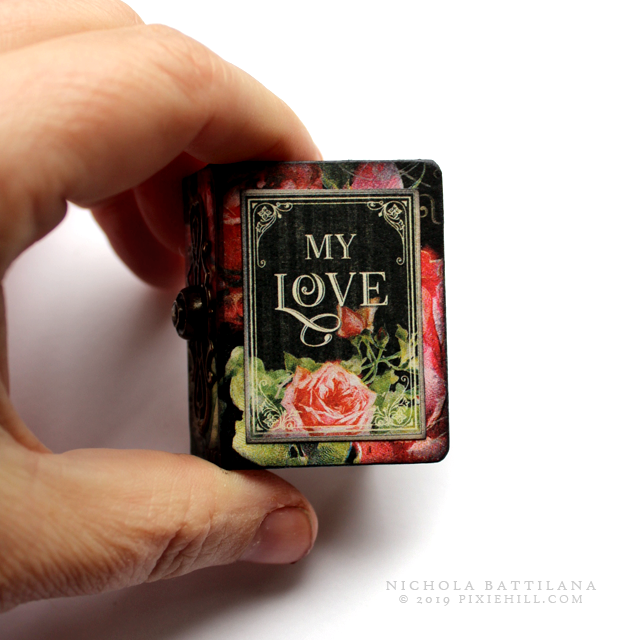 It is a little thing but packed with love and made with pretty things. 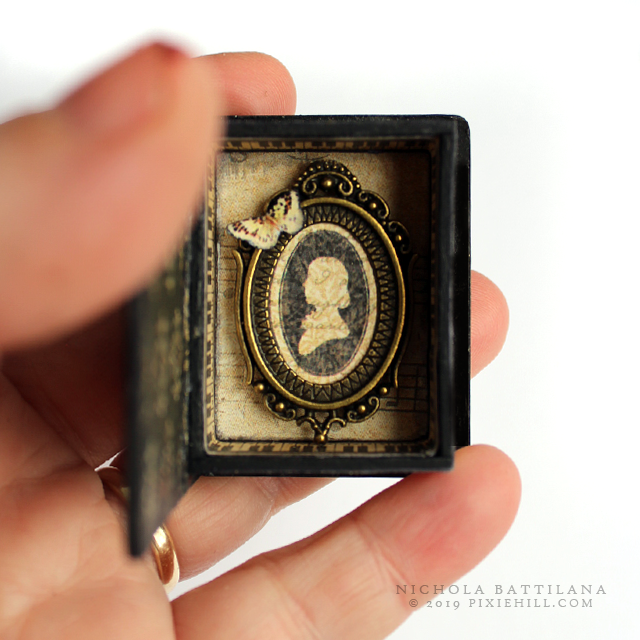 Inside a little silhouette from Little Women in a brass setting with a wee little butterfly. 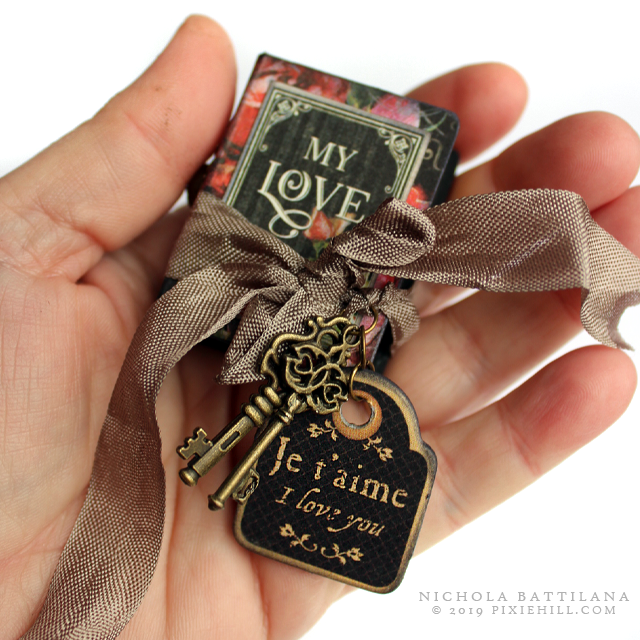 And you can see the sweet piano key border from Love Notes decorating the sides. 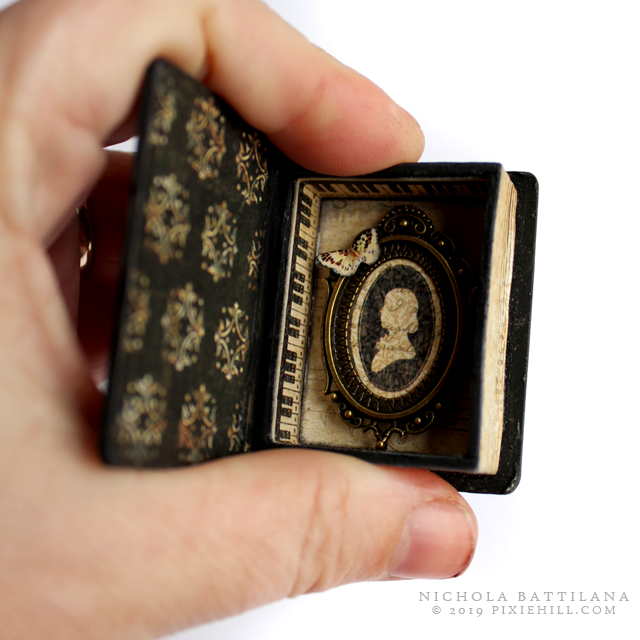 Despite the tiny size of this piece, there are three different collections used here. 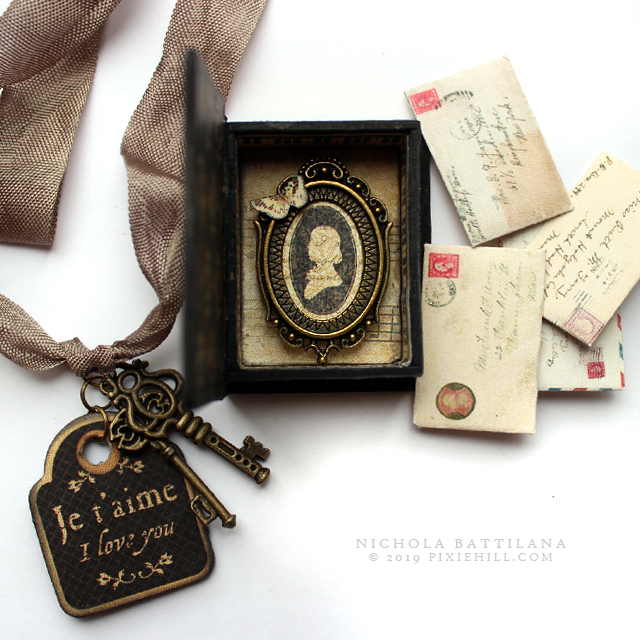 Love Notes, Little Women (the silhouette), and French Country (the chip tag). 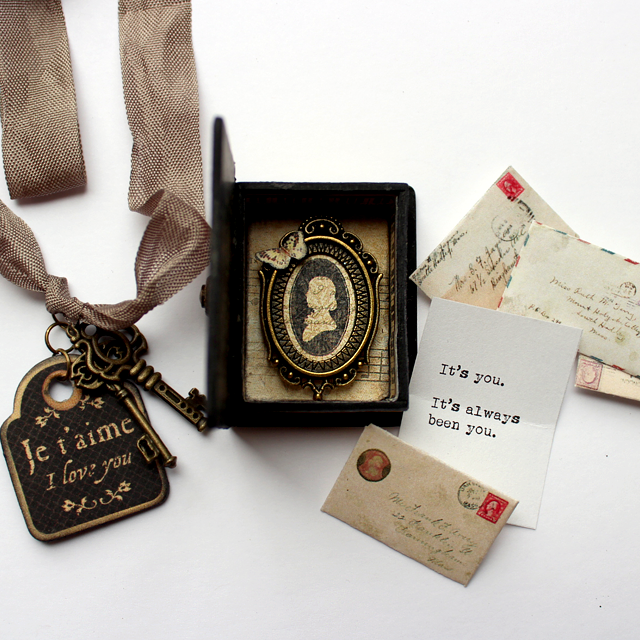 Inside I've tucked in some miniature envelopes using my Miniature Vintage Mail Collage Sheet, and added my own favourite tender notes inside. Here's to love and social awkwardness. 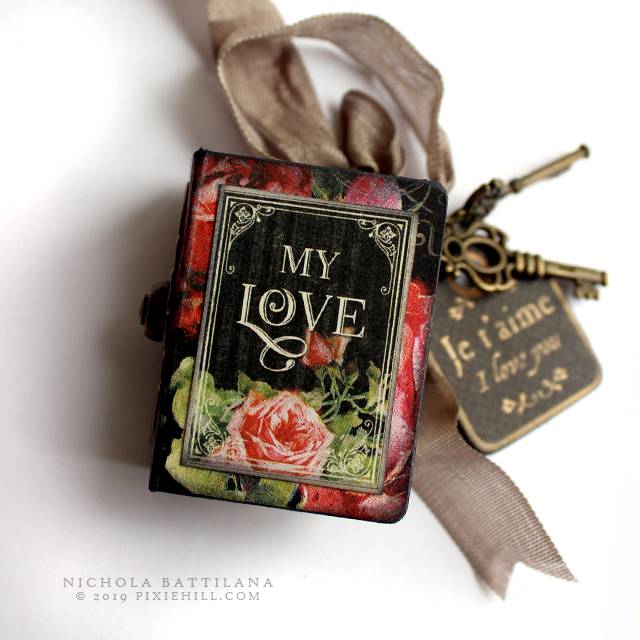 Absolutely beautiful, sweet, romantic, and a precious gift to give to your sweetheart. I have never seen anything like this, ever. Touched my heart. Like giving a piece of your heart..
Beautiful! I can totally relate to being completely non-romantic on the outside and a sentimental fool on the inside. That's me totally. I am a passionate, romantic person myself. 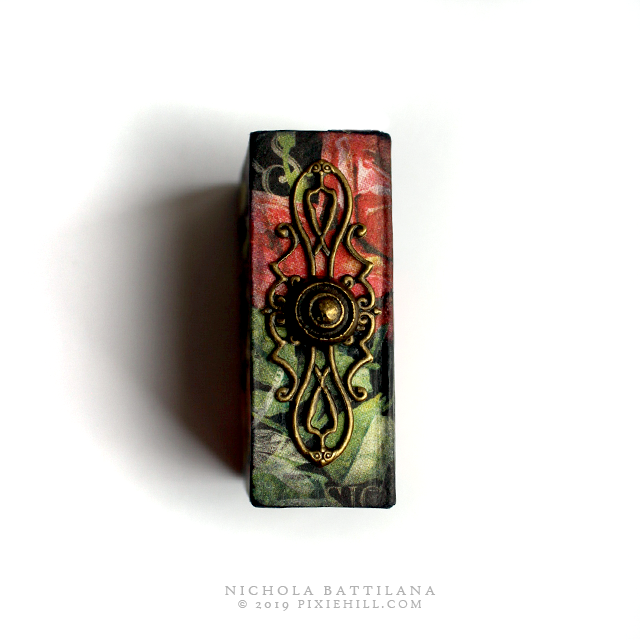 This post might be what makes me break down and finally create something miniature!